Nick Kostovny, who is majoring in Finance; Ryann Banks, who is majoring in Political Science; Zach Hill, who is majoring in Communication; and Josh Avraham, who is majoring in Business Administration are the Beyond the Major Catalysts. 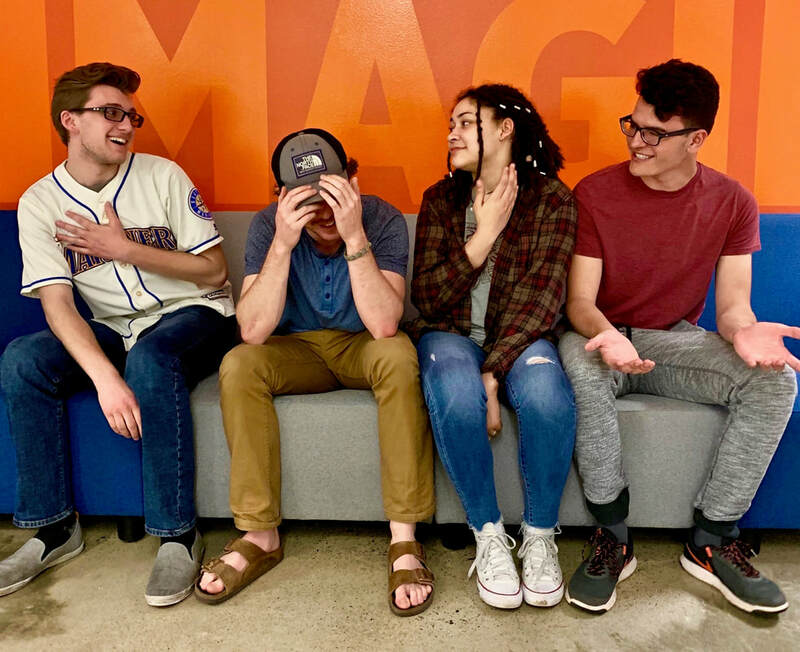 This team of four are, interdisciplinary students tasked with helping their peers to: identify their purpose, seize unscripted opportunities, and tell a compelling narrative about their collegiate experience. ​Through their work empathizing with campus partners to identify poignant campus needs, the Catalysts have spent their inaugural year contracting their own mission: "to inspire life-long curiosity and catalyze student agency through reflection" and today, are using the values of agency, self-advocacy, and curiosity to construct a "field guide to reflection" for use by faculty to make reflective practices more accessible and more relevant for students.